This is a new pre-construction condo development by Rogers Real Estate and Urban Capital for Mississauga’s Square One neighbourhood. M3 condos Part of the exciting M City master-planned community has officially launched. 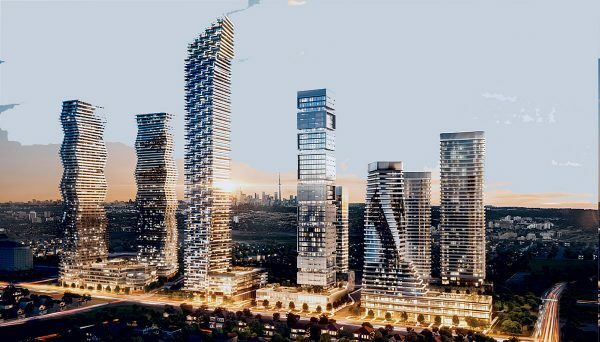 Are you ready to be a part of the changing Mississauga skyline? This new preconstruction development is set to rise 81 storeys and will house 900 residences. The architectural beauty of this tower will be seen from miles away and will set a new precedent for years to come. 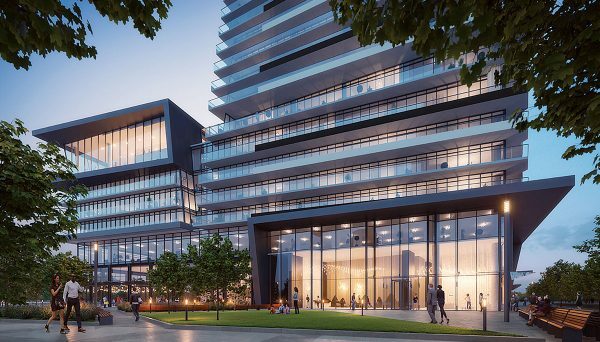 425 Webb Drive, near the southwest corner of Burnhamthorpe and Confederation Parkway in Mississauga presents a great opportunity to be part of a vibrant community and invest in a rapidly-growing region. 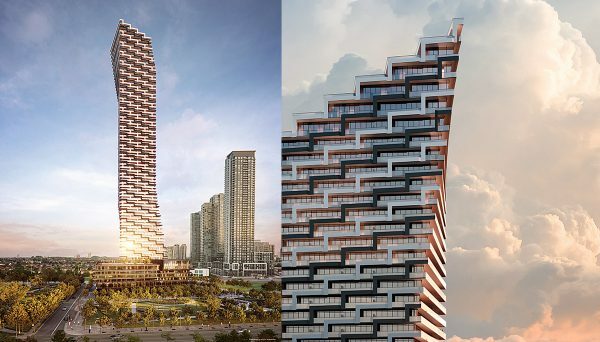 Details about height and unit mix are forthcoming, but we’re expecting a sleek, glittering high-rise with modern sculptural elements, courtesy of CORE Architects. Exquisitely appointed floor plans will range from 1 bedroom units from 475 to 544 square feet. 1-bedroom plus den suites offer spaces ranging from 538 to 580 square feet. 2-bedroom suites range from 674 to 749 square feet and 2-bedroom plus den suites range from 648 t0 796 square feet. Every suite features an oversized balcony for you to see it all, enjoy both the beautiful view of Lake Ontario and delight in the twinkle of the city lights at night. Award-winning interior design firm Cecconi Simone has filled each suite with contemporary touches like stone countertops, sleek chrome fixtures, spa-inspired bathrooms and high performance laminate flooring found in all living areas and bedrooms. Living in a building developed by Rogers means the latest in hi-tech security. Each suite will come equipped with a smart thermostat system that can be adjusted remotely with the Rogers Smart Home Monitoring App. We also love the lavish amenities that the developers have been proposing for each of their towers. This phase will showcase its outdoor and indoor amenities across the 6th and 7th floors. This multi-level glass pavilion overlooking the new 2-acre park will house the fitness centre and the stunning salt-water infinity pool. Oversized glass doors open up to the outdoor sundeck and splash pad. The amenity terrace hosts multiple private dining rooms with a prep kitchen, a luxe screening room, a dynamic event space a kids zone and much more. Additionally, the building’s party room will be accompanied by a fireplace lounge for hosting your most intimate affairs. Natural stone, rich wood, clear glass, crisp tones, and other natural and neutral materials are carried throughout the building. Elegant and timeless aesthetics are the hallmarks of refined living here. M City is easily one of Mississauga’s most talked-about communities, drawing thousands to its initial launch and receiving accolades from politicians and residents alike. When it’s finished, M City will span 15 acres, 10 towers and two acres of lush, public parkland. Condos in Mississauga have the benefit of being part of a rapidly-transforming region. Considered the second largest municipality in the GTA, it’s predicted to house 878,400 residents by 2041. In anticipation of this growth, $15-billion has been budgeted to support the city’s expanding infrastructure. If you’re looking to invest in a city poised for major residential and commercial growth, this is it. M3 Condo project also has the benefit of being almost directly on the proposed new rapid transit line, slated to be up and running in the next few years. Once finished, the LRT will provide access as far south as the waterfront community of Port Credit and as far north as the commercial hub of Brampton, with three stops in Mississauga’s city centre. Square One Shopping Centre has become the heart of the city. With over two-million square-feet of modern, light-filled space, the shopping centre features everything from big-brand retailers and specialty boutiques to its renowned “luxury wing,” which boasts brands like Coach, Michael Kors and Holt Renfrew. You’ll also find urban conveniences like banks, services, an IMAX theatre, Mississauga’s Central Library and a variety of restaurants from casual to upscale. This location holds a reasonable Walk Score of 88/100, signifying that most errands can be completed on foot. The neighbourhood is home to a bustling commercial sector, a Sheridan College campus and the Living Arts Centre, a facility featuring theatre space, galleries and subsidized studios for artists and creative professionals. Not that you’d ever want to leave, but proximity to the area’s major arteries makes travelling around the GTA pretty simple too. This burgeoning city is popular with growing families, students, young professionals and downsizers alike. 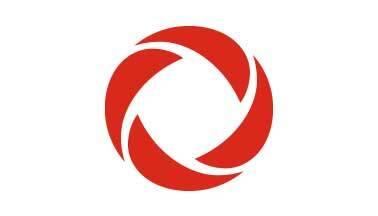 Rogers Real Estate is an arm of the Rogers Media corporation. Having owned the land M City occupies for decades, they debated the best use for it before realizing it would make a perfect spot for a master-planned community. Read more about Rogers Real Estate Development Limited. They teamed up with Urban Capital, an organization with a number of successful revitalization and master-planned projects to their name already. 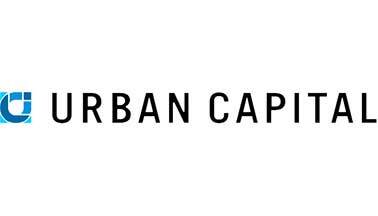 A well-regarded development firm with a small but effective portfolio, Urban Capital is known for the striking architecture and rich, social fabric of their communities.